Why Not a Water Bottle? Hydration packets do more than just offer a hands-free alternative to traditional water bottles. They serve a multitude of different purposes all geared towards making your running experience more enjoyable. So whether you’re looking for a lightweight belt to stash a few more snacks in, or a heavy-duty pack to keep up with your version of extreme sports, there is a hydration pack ready to serve your every purpose. Hydration can be done through more than just periodic sips of water. Sometimes having a juicy fruit with you on one of those long runs is just what your body needs to replenish its fluids (as well as its sugars and minerals). When it comes to hydration – especially during physical activity – a water bottle seems like the obvious answer. However, hydrations systems (like hydration packets) tend to come out on top when it comes to the hydration game. A water bottle is generally smaller than the typical hydration packet. Even those that are larger, tend to be heavy and bulky – putting a damper on your speed and fluidity while running. Whereas a hydration packet is worn and out of the way. It is easier to store one hydration packet, as opposed to a large number of heavy and space consuming water bottles. Water bottles tend to be made from flimsy plastic, and wouldn’t be able to sustain multiple different temperatures. A hydration packet, on the other hand, can withstand and retain different temperatures of water. A hydration packet (especially those with cooling installations) can keep more water cooler for longer. Especially when compared to the water bottle which is generally made from clear plastic – and attracting sun and heat. A hydration packet may be an initial expense, but overall you will save lots of money by stopping those pesky water bottle expenses every couple of weeks. A hydration packet can be used multiple times over; making it not only cheaper but also more eco-friendly. There are typically two types of hydration packets; lightweight and heavy duty. Lightweight – Lightweight packs are made to serve as a place for short distance runners to store their bottles and other key items. (e.g. Keys, Phone, Snacks.) And are generally worn on the waist or arms for easy drinking access. 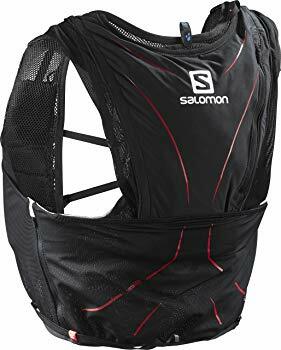 Heavy Duty – Heavy duty packs are generally worn on the back and meant for more experienced runners who would be running distances that require 2 – 3 liters of drinking water. 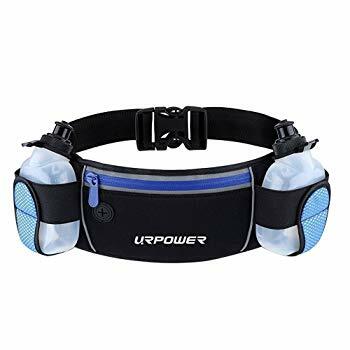 These packs also generally have more storage space and connect to the reservoir by a drinking hose which allows the runner to keep a steady pace while also staying hydrated. This packet was built to be comfortable, it has lightweight material that dries quickly and its stretch keeps the fabric from chafing against your skin. It wraps around your body easily and the bottle holder is located in the front of the packet, for easy drinking access. It’s not a bag, but rather a vest you can wear to simplify your carrying process. This packet was designed with the runner in mind, it keeps your water cool for up to four hours with an internal thermal installation and has multiple storage pockets throughout the bag. With its prestigious military grade system, the bag manages to be sturdy while remaining lightweight. The bladder is FDA approved and replaceable and most importantly, the adjustable straps keep it comfortable. This packet is secured on your hand with an adjustable strap that ensures grip-free running and slips free sweating. The pack is small enough to be lightweight and easily accessible, but big enough to fit 18 ounces of water, your phone, keys and even a snack for later. 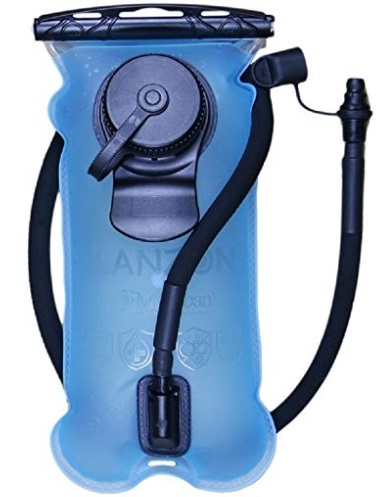 The double wall construction on this pack keeps the water cooler than the average insulated water bottle and ensures that the water stays colder for longer. This waist packet holds two, ten ounce bottles, secured in neoprene pockets on either side of the waist. The packet has pocket space for all the running essentials as well as for your phone and keys. The gel-based interior creates a tight grip against your body and keeps the belt from bouncing and chafing during runs. This belt is suitable for all kinds of people and kind stretch up to 47 inches. 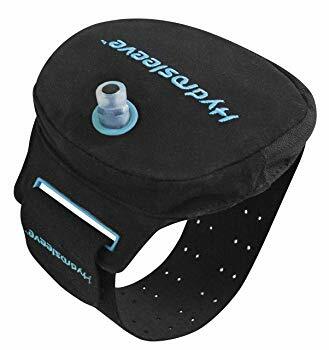 This sleeve allows you to drink with the simple movement of your arm, and because the valve is adjustable it can be used on either arm (right or left). The bladder holds up to 7.5 ounces of water and the therma-cool insulation keeps the water in the bladder cold on those long runs. Moreover, the anti-slosh bladder will keep the water from the bottles from annoyingly swimming around with every movement. This packet is made with waterproof and tear resistant material and weighs less than 5 ounces. It’s built with zipper pockets that are perfect for your keys and phone and has a hole for headphones in the front of the pack. 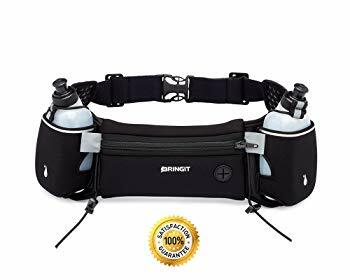 This belt fits two water bottles and has an adjustable strap that can not only change the size of the belt, but transform it into a shoulder bag with just the pull of a strap. This pouch easily, magnetically clasps to any waistband, it holds a 7 or 10-ounce bottle (depending on the size purchased) that is dishwasher safe and BPA free. 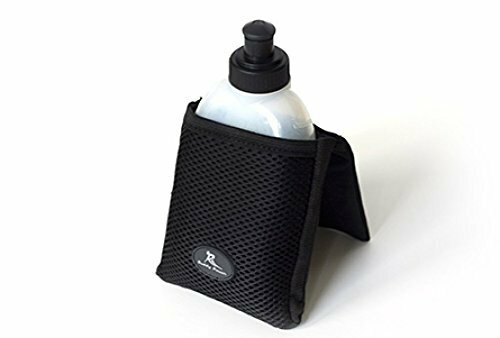 The pouch allows for a compact, hands-free running experience, and ensures the security of the bottle through strong magnets and a bottle that is curved to fit your hip. 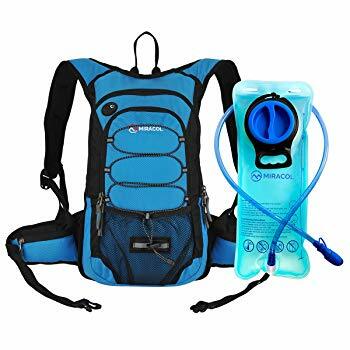 This pack itself is 12 ounces and hold up to two liters of water in its bladder. It has padded and breathable shoulder straps, and adjustable waist and chest straps to ensure perfect fit. The pack comes with 7 different pockets to allow you to bring along all your running essentials. The material of the pack is sturdy and waterproof and the bladder is completely FDA approved. This pack holds up to 2.5 Liters of water and is protected by Polyester heavy-duty construction and PVC lining. The bladder has a wide screw cap to allow you to add ice to your water all while the pack itself is keeping the water fairly cool. 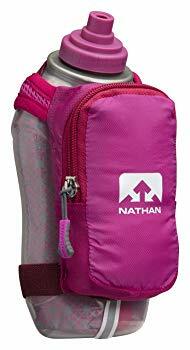 This pack has a built in whistle on chest straps for emergencies, and can fit a multitude of sizes from small children to grown adults. 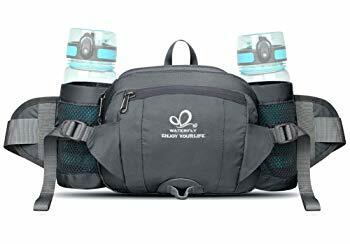 This fanny pack is a durable, versatile and multi-functional pack built for outdoor activities like running. The pack has place for two water bottles, a main compartment for larger items and other outer po\ckets as well. The straps, which wrap around the waist are built to keep the pressure off the waist and are fully adjustable to fit to size and help convert to multiple different bag styles (e.g. sling bag, shoulder bag, cross body pack). Being that water plays a major role in a whole slew of our bodily functions, being dehydrated can present many dangers to your health. Heart Disease – One of the first bodily systems to suffer from fluid loss is the cardiovascular system. When there’s a lack of water in your body, your blood grows thicker and the heart is forced to work harder in order to spread your blood around your body. This causes subjects your arterial wall to added pressure and causes your blood pressure to rise – which in turn can cause heart disease. Kidney Failure – One of the main causes of kidney related issues is dehydration. The kidney’s job is to filter out waste from the blood, and in order to do this job effectively, the kidneys require oxygenated blood. Without water to oxygenate the blood, the kidneys can’t function properly and waste begins to build up inside the kidneys. Hypovolemic Shock – This comes as a cause of exaggerated water deficiency. When your blood volume drops, your blood pressure drops with it and results in a lack of blood to all vital organs. The problem with this is, if your organs aren’t receiving enough blood and oxygen then they can no longer function and your entire bodily system will begin to slowly shut down. 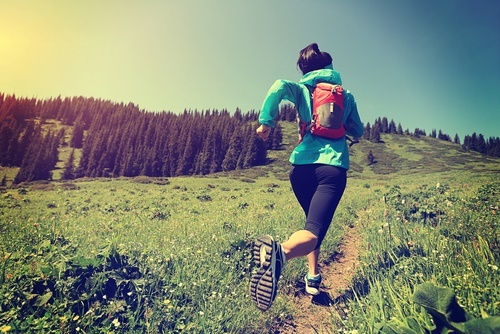 Drinking Before a Run – Drinking before a run ensures that you are hydrated to begin with. This helps to avoid dehydration once the physical activity begins. 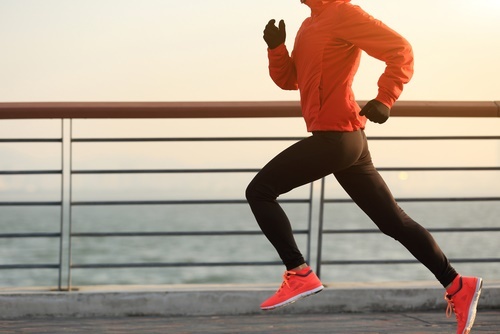 Sipping Water During a Run – Because drinking a lot while running can cause sloshing and nausea, it’s best to just take small periodical sips when your mouth begins to feel dry. When it comes to when to drink, trust your gut. Drinking After a Run – It is equally important to drink after a run in order to ensure that you remain hydrated. Pro Tip – Drinking energy drinks and other similar fluids while running, helps replace the salts and minerals that are lost through sweat. Hydration comes with many benefits, not only can it keep you from getting sick, but it can even ensure that you are always on the top of your game. Boosts Confidence and Energy – The lack of even just a little bit of fluid (as little as 1%) can affect your mood and cognitive function. Because the human brain is sensitive to even the slightest bit of dehydration, the lack of water can immediately affect its functioning ability. So to stay happy, stay hydrated. Relieves Headaches – Studies have proven that fluid loss can be directly connected to headaches and migraines. So, perhaps if you have a recurring headache or a pounding migraine, that is your brains way of telling you to take a sip. Eases Constipation – Drinking water can ensure that you don’t end up along with the 4.5 million Americans that are chronically constipated. Studies have proven that fluid intake has a direct correlation to constipation and the lack of fluid is a major risk factor within constipation as well. Weight Loss – Studies have found that drinking water can quicken your metabolic rate up to 30%. Hydration supports thermogenesis, so by drinking at least 2 liters every day, you’ll begin to lose more calories. Moreover, drinking before meals will result in you eating less at meal time, and consuming less calories. 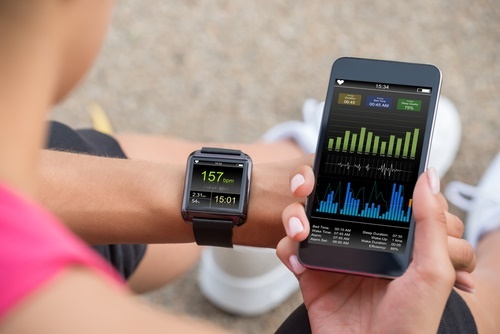 Physical Performance – Feeling tired all day can be a direct result form not drinking enough, we lose fluids while literally doing nothing and therefor need to be consistently replenishing. And since 75% of muscle tissue is made up of water, your physical performance is also affected when you don’t get enough water. Hydration packets are the hands-free solution to the water bottle. 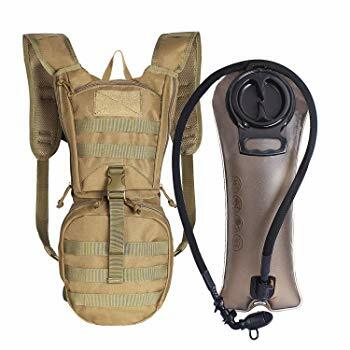 They are generally waist packs or backpacks filled with accessible bottles or packets of water made from rubber or plastic. 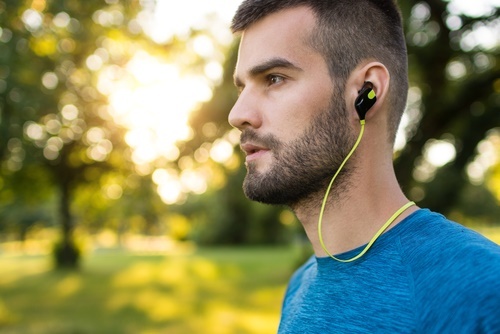 This hands-free solution makes hydration easy during even the most intense of workouts. Hydration packets are a great way to keep every runner hydrated and happy, and with the wide range of different styles and functions, it should be no problem finding one that works perfectly for you. Hydration packets can serve as more than just a place to store water, it’s a great place to keep snacks, fruits and any other writing necessities. So, don’t put yourself at risk, when a hydration packet can make being prepared easy. After all, your run, doesn’t have to be your race against time.